By registering you are RSVP'ing to attend this event and will notify the Cadillac V-Club if your plans change and you are are unable to attend. If you bring a guest, the $15.00 guest fee is due at the time of your RSVP submission. By registering you are RSVP'ing to attend this event and will notify the Cadillac V-Club if your plans change and you are are unable to attend. If you bring a guest, there is no charge for immediate family members or your employees who are members of the V-Club. Open to non-members of the Cadillac V-Club who are interested in joining and would like to attend the event. Prospective members are allowed to attend 1 meet 'n greet event where their meal is provided at no charge. If you bring a guest, a $15.00 guest fee is due upon submission of your RSVP. By registering you are RSVP'ing to attend this event and will notify the Cadillac V-Club if your plans change and you are are unable to attend. As a Regional Member, both you and any guests are required to pay the $15.00 meal fee due at the time of your RSVP submission. Join the Houston Chapter of the Cadillac V-Club for our March Meet 'N Greet event at Pluckers Wing Bar on Saturday, March 2 from 11:30AM to 2:00PM. Lunch will be served promptly at 12:00PM. We have pre-selected a menu for you and have a private area (called the Coup) reserved in the restaurant. Your meal will be provided compliments of the Cadillac V-Club. All V-Club members may bring guests however a nominal guest fee will be charged at the time of your RSVP registration for members with a Single Membership. Members with a Family Membership and Sponsors will not be charged a guest fee. If you are a prospective member of the V-Club, you are welcome to join us as a guest but you must RSVP and pay a guest fee. Please plan to arrive by 11:30AM to secure your parking spot. 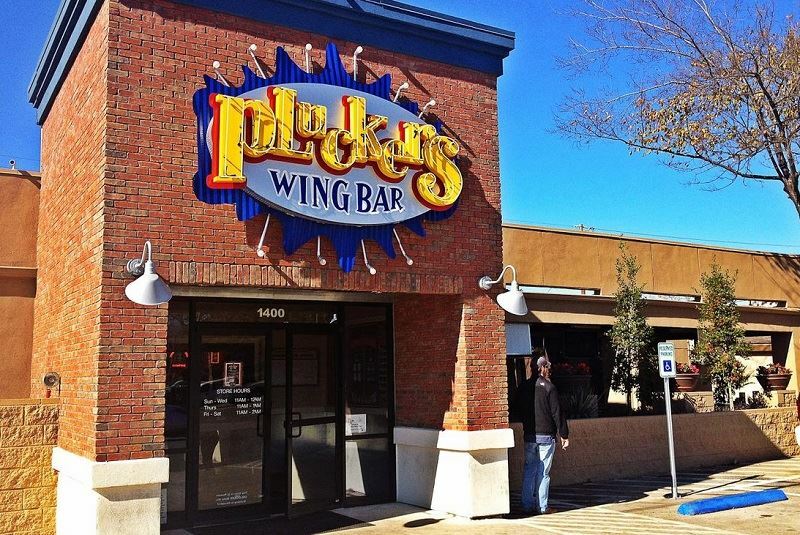 Pluckers will block off some space so we can park together. You must RSVP to attend this event by registering via the CadillacVClub.com website. Limited space available. If you RSVP and then your plans change, please be sure to cancel your registration.